On June 1st, WWU's 2nd Annual Western Give Day, a portion of EVERY gift made will be matched! Take advantage of this amazing opportunity and support WWU Viking Volleyball! 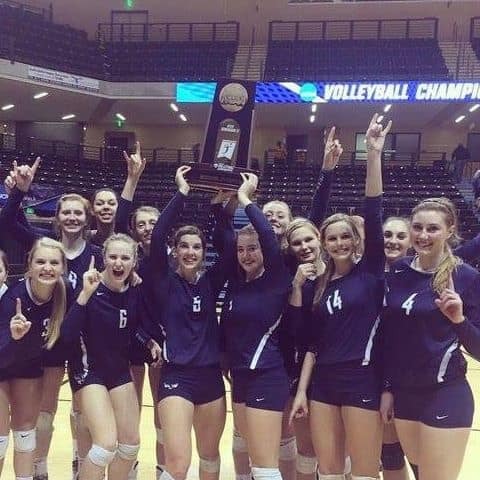 Our goal is to raise $10,000 for the WWU Volleyball program. Your gift provides essential funds for our program to continue to compete on a National Level. 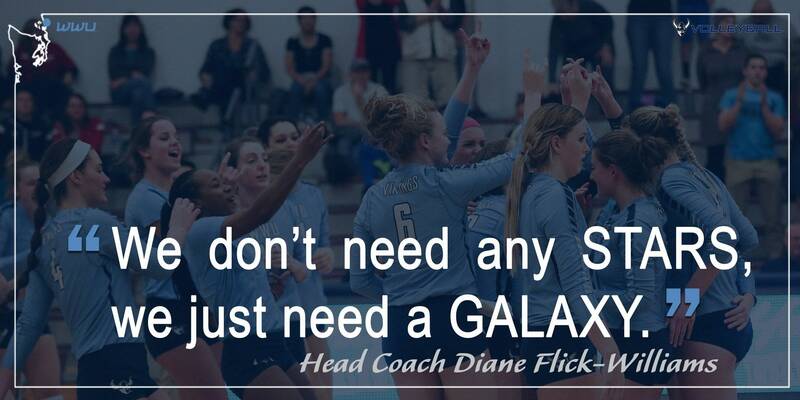 By upgrading our travel, technology, and equipment, we can create a great experience for our volleyball student-athletes in their pursuit of overall excellence. Thank you for supporting WWU Volleyball. Our aim is to always return to the NCAA Division II tournament and compete for a national championship as well as prepare our players for the next chapter of their lives. To keep updated on future events, current players, and the team, please be sure to like us on Facebook and follow us on Twitter! Thank you in advance for your support and GO Vikings! Your donation of $50 will help us provide the fuel needed to not only compete at our optimal form, but also fuel our bodies to prevent illness and injury as we put everything into our matches and training. As technology goes, so do the advancements in the analysis of the game. Your $100 gets us updated on the latest video editing and statistical programs that are volleyball specific. To get to the next level, we need to grow as technology does. Our preseason begins 6 weeks before school begins so it is important for us to provide housing to the incoming freshmen who are coming to campus for the first time. Their quick assimilation to our university and program is a huge contributor to our fall success. As we move into the newly renovated Carver Gym, there are many opportunities to advance our skills with sport specific equipment that can be housed and used in the new facility. To be the best, you have to play the best. In order to continue to play at a National Level, we need to travel outside our region to see the level we need to get to. In addition, if we fly out of Bellingham, our student-athletes could stay in class longer before leaving to compete. $70,000 is what it takes to get a new Taraflex floor that is not only aesthetically pleasing, but is more forgiving on a student-athlete’s body. Yep, this is a pipe dream, but if you don’t ask the question, you will never know the answer.